Is God Unfair? Does It Even Matter? In a world steeped in talk of equality— equal treatment, equal opportunity, equal sexes, equal ethnicities, you name it— the apparent conflict between God’s seeming unfairness and his justice has become a bigger question than ever. In other words, it’s natural to be concerned about getting equal treatment for ourselves (and others as we learn to be less selfish). God created us to care about justice, just as he does. It’s part of our image-bearing nature. So how should we respond when we’re confronted with God’s apparent unfairness in Scripture? How can we reconcile the fact that God saves some and not others? Like every logic student knows, you can’t have a debate or discussion over terms without defining them first— that is, unless you want the conversation to self-destruct. 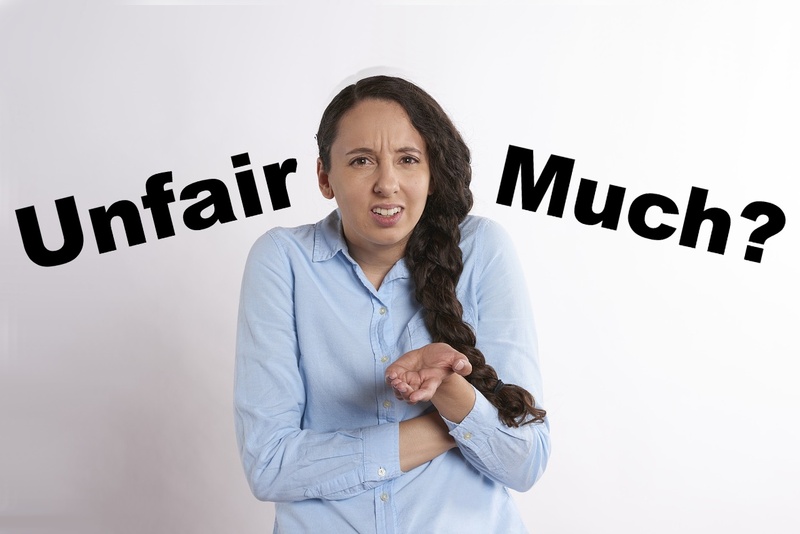 So what does fairness even mean? All those definitions are fairly similar (fairly haha), but the slight difference can change a whole lot and turn the answer to the question of God’s ‘unfairness’ completely on its head. However, in this context, it seems like most people think of it more in terms of equal or preferential treatment: it’s unfair of God to send some people to hell and others to heaven. Why? Because he’s singling some people out. It’s not equal. It’s unfair to love Jacob and shower gifts on him and not Esau. He’s showing preferential treatment. Regardless of whether you're talking about fairness as equal treatment (which has to do with action) or as a lack of favoritism (which has to do with motive as well as action) the word implies it is right to treat people in this way and therefore that it would be wrong not to. And that’s really where we run into issues. And so the real question is not whether God is fair or not. It's whether fairness even matters. To be precise, it's about if fairness is the same as justice. Romans 9:14-15 "What shall we say then? Is there injustice on God’s part? By no means! For he says to Moses, 'I will have mercy on whom I have mercy, and I will have compassion on whom I have compassion.'" Well would you look at that? It seems that my job here is done! The reason I wrote on this topic (other than the fact that the question came up in bible study a few weeks ago), was because we, as Christians, struggle with this question of unfairness. It is a hard thing to understand why God wouldn't just save everyone when he has the ability to. (Among the many other unfair things that happen in this life.) And to be honest, I don't think we can fully understand it. A lot of it comes down to trust. Despite that and despite God's justice in the matter, I don't think it's wrong to ask either. At the same time, it's important to reframe it in the lense of a Christian worldview in the end and realize one very important thing: the fairest thing-- the most equal, right, and non-preferential action-- would be to send everyone to hell because guess what, none of us deserve it, not one inch. Just as Jacob did not earn his status as God's through action, neither do any of us. Psalm 14:1-3 "The fool says in his heart, 'There is no God.' They are corrupt, they do abominable deeds; there is none who does good. . . The LORD looks down. . . to see if there are any who understand, who seek after God. They have all turned aside; together they have become corrupt; there is none who does good, not even one." Only in Christ, only because of his perfection, only because he took our place, is it in any way just or right for us to be saved, let alone be adopted as sons and daughters of God. I don't know about you, but in light of that, I'm eternally grateful God's merciful unfairness. May he continue to be unfair to many rebels yet to come. Ephesians 2:4-10 "But God. . . even when we were dead in our trespasses, made us alive together with Christ. . . and raised us up with him and seated us with him in the heavenly places in Christ Jesus. . . For by grace you have been saved through faith. And this is not your own doing; it is the gift of God, not a result of works, so that no one may boast."